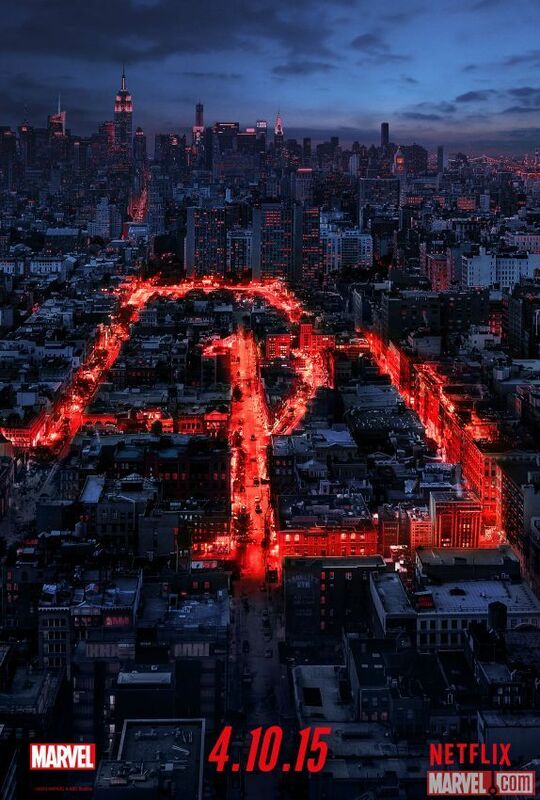 Marvel Studios’ Netflix Show ‘Daredevil’ Has A Poster and Release Date! Marvel’s marketing department has been in overdrive this week. ‘Daredevil’ is coming to Netflix April 10th, before even ‘Avengers: Age of Ultron’ and the recently advertised ‘Ant-Man’ hit the silver screen. No, I don’t mean the 2003 film ‘Daredevil’ starring Ben Batfleck as the title hero. 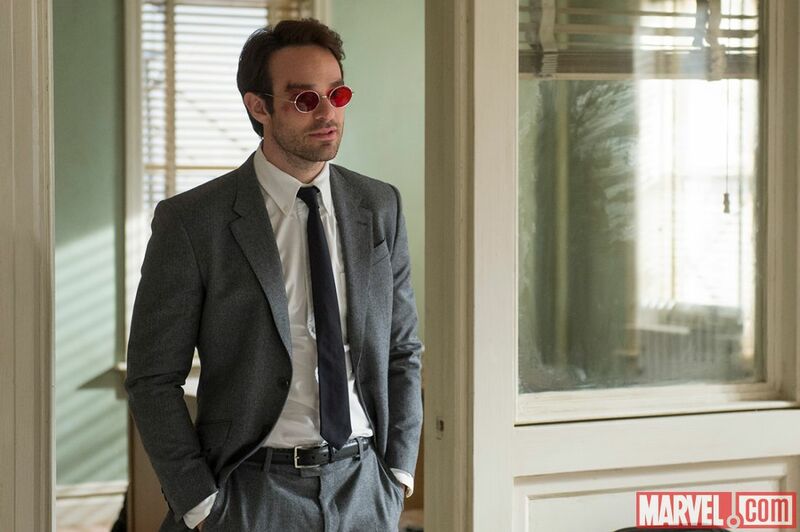 2015’s ‘Daredevil’ is a brand new show, officially part of the the Marvel Cinematic Universe, by Marvel Studios. Fox made the original film but let the rights slip back to Disney/Marvel, allowing the pros that brought us ‘Captain America: Winter Soldier’ and ‘Guardians of the Galaxy’ to create and execute the first of five planned Netflix shows. 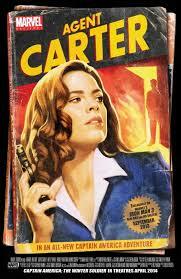 ‘Agent Carter’ may be great (the premise sure is), but I have yet to watch it (I think I’ll hop on Hulu+ following this post) and haven’t seen any TV ratings yet. 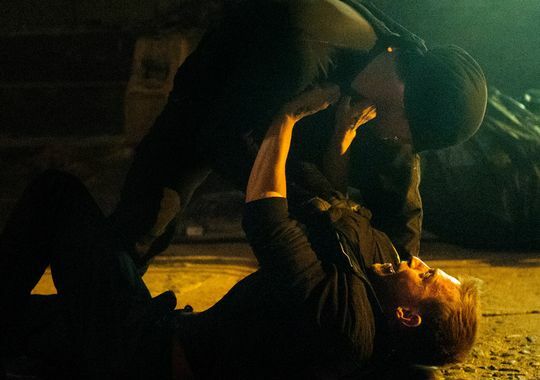 Though we have yet to see any real footage from Netflix’s’Daredevil,’ one would expect the gutsy “online network” that brought us ‘House of Cards’ to deliver a more cinematic product with a much higher budget than ‘Agents of S.H.I.E.L.D.’ The former should also feel less constrained by network television standards than the latter. And ‘Daredevil’ is just the beginning of a run of MCU Netflix programming that could eclipse DC’s thus far successful television efforts. Following the 13 episode ‘Daredevil’ series starring Charlie Cox as Daredevil/Matt Murdock and Vincent D’Onofrio as Kingpen, Marvel and Netflix will release ‘AKA Jessica Jones’ starring ‘Breaking Bad’s Krysten Ritter as the title character and Mike Colter as Luke Cage. Seeing as how the two are an item in the comics, Mike Colter will play Luke Cage in ‘Aka Jessica Jones’ before he gets his own show, ‘Luke Cage,’ next. Following that we get ‘Iron Fist’ which has yet to be cast, followed by an ‘Avengers’-esque series called ‘The Defenders’ that brings all four characters together for an ensemble superhero team. Basically, Marvel has focused their TV efforts on an MCU of Netflix’s own; one that could lead to appearances of the characters on ‘Agents of S.H.I.E.L.D.’ which desperately needs more superheroes and even a possible team-up in ‘Avengers: Infinity War,’ Part 1 or 2. Thus far, we have only seen this Frank Miller look of the costume, not the red horned costume used in 2003’s ‘Darvedevil’ film. This does raise the question, where and if these shows exist within ‘Phase 2’ or ‘Phase 3.’ Being a part of the MCU means they have to fall somewhere. I would guess that somewhere is ‘Phase 3’ as we won’t see Daredevil on the big screen helping with the sadistic Ultron. But IT DOES come out before ‘Age of Ultron’ and ‘Ant-Man,’ the latter ending ‘Phase 2.’ Maybe some plot points do feed into either film and are a part of Phase 2? We’ll know more on April 10th when Netflix drops all 13 episodes of Marvel Studios’ ‘Daredevil;’ the next frontier of superhero shows. Previous Why Are They Breeding Raptors On Isla Nublar?